The Equino Barstool by Zuo Modern is the perfect choice if you want to add a touch of upscale elegance to your entertaining capacity. The effortless allure of this simple stool will impress your guests. As practical as it is decorative, the Equino Barstool is made from of durable chrome plated steel. The graceful seat is easy-to-clean espresso leatherette. 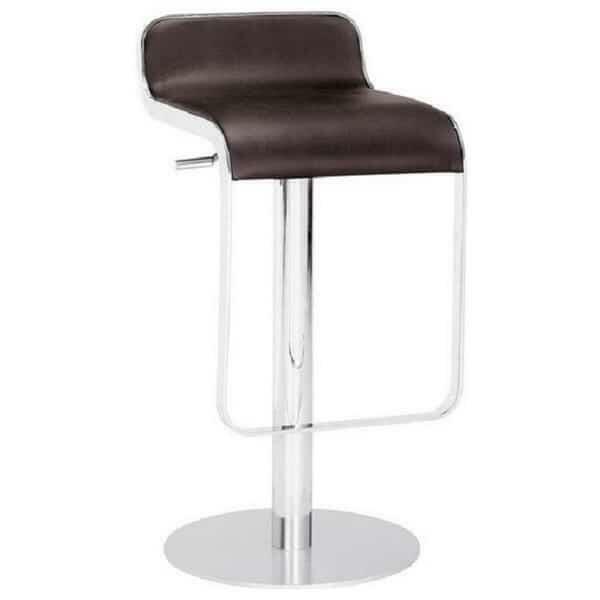 The Equino Barstool by Zuo Modern is completely adjustable and can be used with either counter or bar height furnishings.